In January 2015, Heathrow created two new arrival slots – a significant feat given that new slots at Heathrow are famously rare and can be traded for millions of pounds. It is already the busiest two-runway airport in the world, operating close to 100% capacity on a daily basis, how did space for a new slot emerge? The answer lies in combining advanced modelling techniques with the ability to make sense of a huge amount of operational data in what we call Strategic Airport Capacity Management (ACM). In today’s safety critical environment, making operational changes with confidence requires especially the right information at the touch of a button. 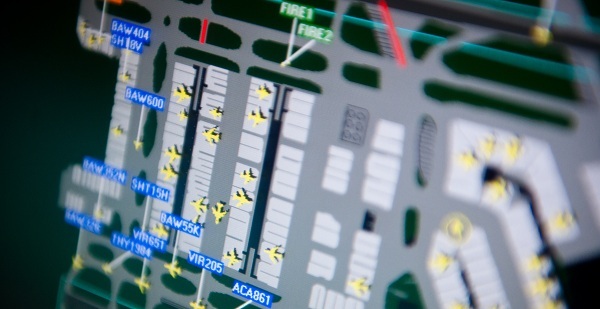 By combining the power of data analytics and advanced simulations, ATC operators can be in better control of strategic airport decisions. Strategic ACM is an innovative web based tool which improves the way airfield capacity interacts with key interfaces, including airspace, ground infrastructure and terminals – looking at a time horizon of six months and beyond. The tool helps the airport operator assess the impact of various factors on performance such as stand closures and relocation, ATC control and ground movement procedures, scheduling delays and weather. The operator can then declare the existing and future capacity of their runway(s). The toolset enables Heathrow to make robust, consistent and quick business decisions about detailed and complex problems. Direct comparisons can be made to the current airport operation; in order to understand and quantify the likely benefits of any proposed operational change, or a combined program of initiatives. This is vital when considering long-term strategic investments, to ensure that future efforts are focused on achieving the maximum benefit for all stakeholders at the airport. The design of the Strategic ACM tool itself makes the capability both flexible and adaptable, and most importantly future proof. As the challenges faced by the airport change over time, so can the analytical components, ensuring that the focus is always on the relevant questions being asked at the time. And as a web based service, the Strategic ACM capability is something that can be integrated relatively easily into any other airport around the world. The creation of a new slot at Heathrow proved the immediate impact of Strategic ACM, a crucial factor for the region’s airports given how current infrastructural enhancements will take a while before they are completed. When we consider the capacity constraints that exist, particularly in Asia Pacific, this is an exciting prospect. Airport operations in this region are getting busier every day, and there are countless factors which can affect the performance of the airfield at any given time. These can range from the way that the scheduled traffic arrives at the airport, and the local weather conditions, to infrastructure constraints like the numbers of available stands and taxiway closures. The ability to identify and quantify any potential benefits to the operation in any of these areas is vital, and the Strategic ACM capability would allow airports in Asia Pacific to do just that. Strategic ACM will enable airports in Asia Pacific to improve how they make decisions and model their operation quickly with a degree of certainty that was not possible in the past.